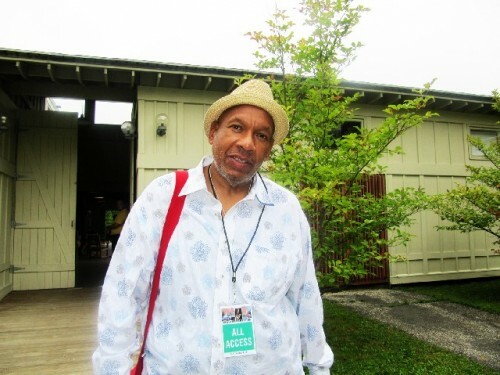 Willard V. Jenkins heads the NEAâ€™s Jazz Masters Live program. Giuliano photos. Jenkins helped to bring Jimmy Cobb and Gunther Schuller to the Tanglewood Jazz festival. The Recording Academy has reduced the number of Grammy categories. The 2012 awards show will feature 78, down from 109 this year. Grammy President and CEO Neil Portnow said a yearlong examination of the awards structure led to the decision -- one he said would make the Grammys more competitive and the awards more coveted. A group of artists upset at the Grammy Awards’ decision to cut the number of categories from 109 to 78 is calling for a boycott of CBS, which broadcasts the show, and has hired a lawyer to look into pursuing legal action. Paul Simon and Herbie Hancock have expressed concern about the Recording Academy’s decision to merge many of the niche genre categories. Many of the categories being merged — Native American, Hawaiian, Zydeco, Cajun, Tejano and Latin Jazz — have a large number of ethnic performers. In addition to the reduction of Grammy categories there is a movement for restructuring of the resources of the National Endowment for the Arts. During a spring visit to Mass MoCA we reported on a speech "Our Town" delivered by its head Rocco Landesman. The crisis for the NEA has been further hampered by the divisive budget battles in Congress this past summer. With calls for cutbacks of entitlement programs and military spending the arts are particularly vulnerable. 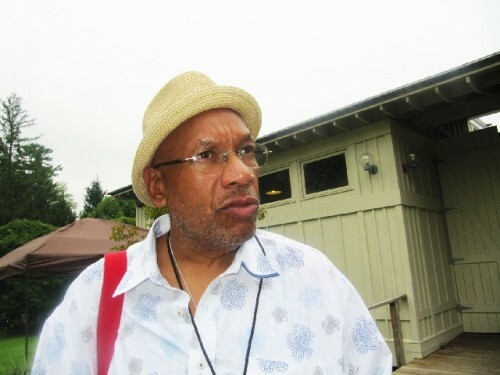 During the Tanglewood Jazz Festival we spoke with Willard V. Jenkins an NEA administrator for the Jazz Masters Live program. Charles Giuliano Is there anywhere on line that one can look into the fact that the NEA’s Jazz Masters awards are being cut back. Willard V. Jenkins That’s the weird thing there isn’t anything because there is no official word on this decision. What the chairman of the National Endowment for the Arts, Rocco Landesman, proposes is that they want to eliminate all individual awards, Fullbrights, opera, jazz masters, that kind of thing. They want to fold them all up into a kind of omnibus award, an American Arts Award. Which means that in each of those categories there would be fewer artists honored each year. There would still be someone honored each year from those genres but there would be fewer. It is my understanding for one that Congress did not want to eliminate the NEA Jazz Masters. Then this whole budget thing went down. To be honest with you I don’t know where it stands. It hasn’t gone before the Senate yet so we’ll see. CG Can you fill me in on your background? WVJ I’m a writer and I produce a festival. In this particular instance (Tanglewood Jazz Festival) there is a program called NEA Jazz Masters Live. It’s the grant program that Tanglewood tapped into to bring Jimmy Cobb (drummer) and Gunther Schuller (composer/ conductor/ musician). I’m the coordinator of the grant program. CG How endangered is this heritage? WVJ The NEA Jazz Masters? CG No more generally, jazz, blues, folk. Is it being drowned out by hip hop? When you go to some of the schools and you see all the youngsters who are still interested in playing this music, you have to be encouraged by that. It seems like there will always be someone who wants to play this music. CG Isn’t this really about the next generation? WVJ The biggest issue is not a lack of musicians. There is no lack of musicians by any stretch of the imagination. It’s about audience. That’s always the primary issue. We have to build audience. Looking around here this is an aging audience. CG Not just for the Jazz Festival this is true of all Tanglewood performances. Given the ticket prices it is only older folks in general who can afford to sit in the Shed or Ozawa Hall. The issue is to attract a larger, younger audience on the Lawn. There is a less than firm commitment between Tanglewood and sustaining the Jazz Festival. It has to pay for itself and some years, largely due to weather, the numbers have not been that strong. We have seen cutbacks such as less expensive programming on Fridays with a resultant weaker draw. This year the food service in the Jazz Tent eroded from the prior fine dining and buffet to just sandwiches at best. WJV That’s something I have to rely on you folks to let me know about. This is my first time here. CG We would like to think that long term the festival were more secure. WJV One would like that for sure. CG It comes at the end of the season after the BSO leaves. WJV This festival was built for the BSO and we can’t get around that. The last time I was here in the Berkshires was with Randy Weston (pianist) at the Berkshire Museum. CG Ed Bride produced that. The Berkshires are important to Randy. WJV He says the three most important places in his life are: Brooklyn, where he was born, the continent of Africa and the Berkshires.